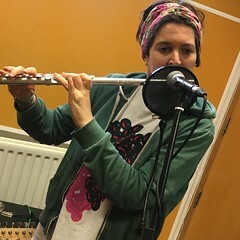 The Hello GoodBye Show is an upbeat, eclectic live music show hosted by deXter Bentley and friends every Saturday lunchtime from midday to 1.30pm on Resonance FM. Performing live in session on Saturday 9th April 2016; Left With Pictures + Songdog. Pristine, Baroque-pop from Left With Pictures. Plus, timeless, classic folk-pop with Songdog. This entry was posted in dexter bentley, hello goodbye show, Hello GoodBye Show: Listings Info, resonance fm and tagged dexter bentley, hello goodbye show, left with pictures, resonance fm, songdog. Bookmark the permalink.